Bozeman Dentistry – Gabriel McCormick, DMD is proud to serve not only Bozeman but the greater Bozeman area as well. Our staff includes proud members of the community we serve. Not only are we proud to offer outstanding service to Bozeman, Montana, but we are happy to serve our patients in Livingston, Belgrade, and Big Sky. It’s worth the trip for the change it will make in your life. Are you proud of your smile? You should be. Your smile is unique. It can express friendliness and confidence. Why not make it the best it can be? Cosmetic dentistry offers answers to chipped teeth, missing teeth, crooked teeth, and discolored teeth. 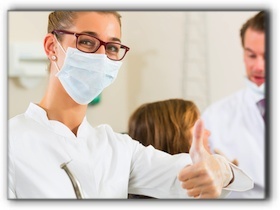 We offer many services above and beyond simple cleaning and oral care instruction and guidance. While oral hygiene is important, sometimes advanced dentistry is needed for a true smile makeover. Come see our office for cosmetic dentistry. Find out if you’re a candidate for porcelain veneers or dental implants. Ask about the benefits of teeth whitening. Your smile is our priority. We want your personality to shine. Call 406-586-7661 or visit us online at https://www.bozemandentistry.com/. We’re happy to make you an appointment for any of the following services: emergency same-day scheduling, teeth whitening, restorative dentistry, porcelain veneers, or general dentistry. Ask us about Invisalign braces, porcelain veneers, and tooth implants. We are passionate about improving lives with dental expertise.